Leonard Tsosie (Corn Hill) was born into Jemez Pueblo in the late 1940’s. 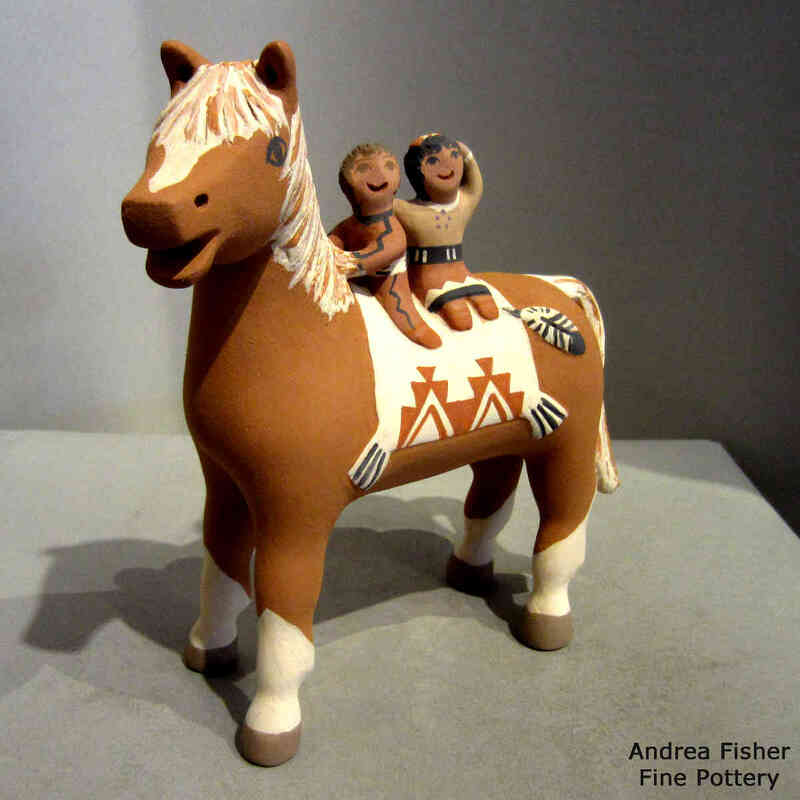 Leonard has been working with clay since the age of 11 but he didn’t really spark an interest in creating with clay until he noticed how dedicated his wife, Emily Fragua-Tsosie, was to her art. 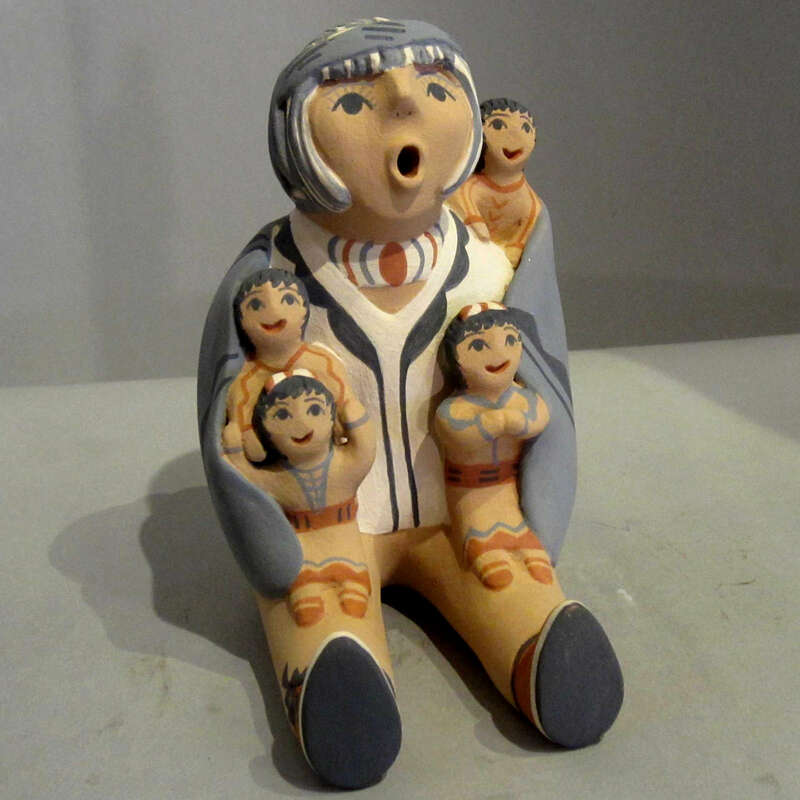 She is widely known for her hand-coiled storytellers and corn maidens. Leonard specializes in natural hand molded and hand painted figurines and storytellers. 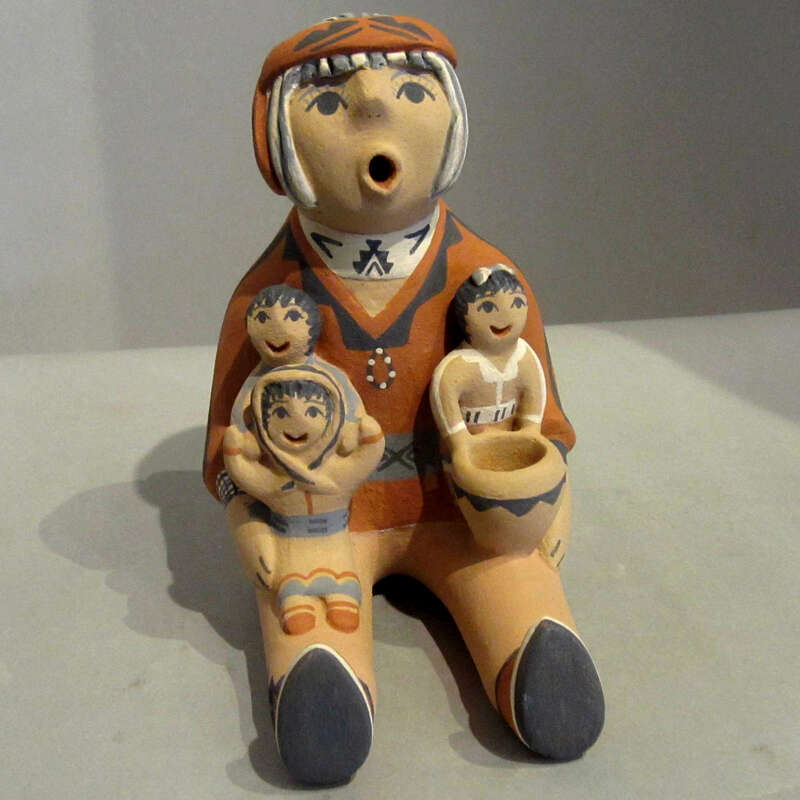 He gathers his clay from the sacred grounds within Jemez Pueblo. He hand cleans and mixes the clay, shapes his pottery, fires the clay, and sand dries the pottery to a nice smoothness. then he paints with all natural colors and fires it one final time. He says he enjoys making his horses most. 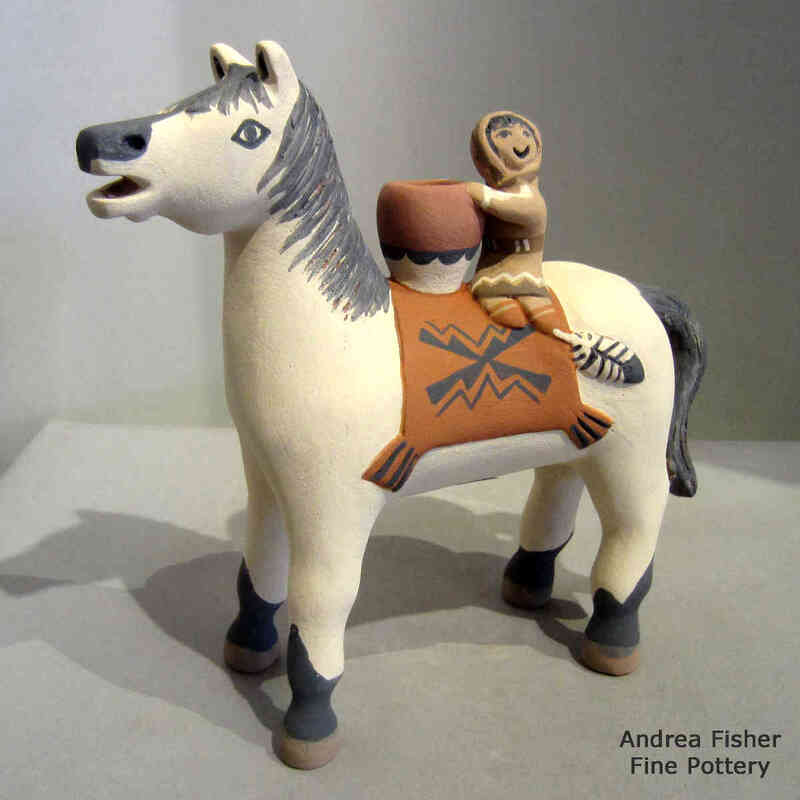 He signs his pottery: L. Tsosie-Corn-Hill, Jemez.